Brian D. Birdwell is an American politician. A Republican, he has represented District 22 in the Texas Senate since 2010. A retired lieutenant colonel in the United States Army, Birdwell is a decorated survivor of the terrorist attack on the Pentagon in Arlington, Virginia, on September 11, 2001. José R. Rodríguez is an American attorney and politician. He is currently serving as a Democratic member of the Texas State Senate representing District 29 in El Paso, Texas. Sylvia R. Garcia is an American politician who has been serving as the U.S. Representative for Texas's 29th congressional district seat since 2019. She was elected on November 6, 2018. A member of the Democratic Party, she previously represented District 6 in the Texas Senate. 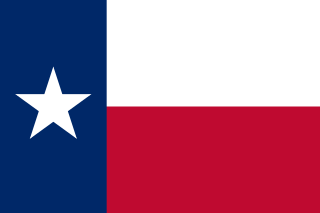 Mario Valentin Gallegos Jr. was a Democratic politician in the U.S. state of Texas. He was the senator from District 6 in the Texas Senate, which serves a portion of Harris County. Charles J. Schwertner is an American orthopedic surgeon and politician from Georgetown, Texas. He has served in the Texas State Senate since November 6, 2012, after having represented House District 20 in the Texas House of Representatives for a single term beginning in January 2011. He is a Republican. Paul David Bettencourt, is an American politician and businessman based out of Houston, Texas, who serves as a Republican member of the Texas State Senate from District 7. On January 13, 2015, he succeeded state Senator Dan Patrick of Houston, who successfully ran for Lieutenant Governor of Texas. 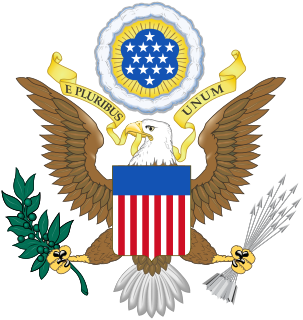 Nicholas Van Campen Taylor, known as Van Taylor, is an American businessman and politician from Plano, Texas. He is the U.S. Representative for Texas' 3rd congressional district. The district includes much of Collin County, an affluent suburban county north of Dallas. Donald Blaine Huffines is a former Republican member of the Texas Senate, where he represented District 16 from 2015 to 2019. 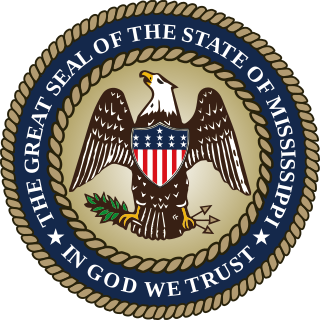 The Mississippi Senate is the upper house of the Mississippi Legislature, the state legislature of the U.S. state of Mississippi. The Senate is composed of 52 senators representing an equal amount of constituent districts, with 54,704 people per district. Senators serve four-year terms with no term limits. 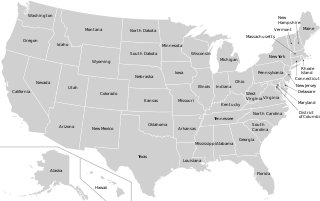 The Connecticut State Senate is the upper house of the Connecticut General Assembly, the state legislature of the US state of Connecticut. 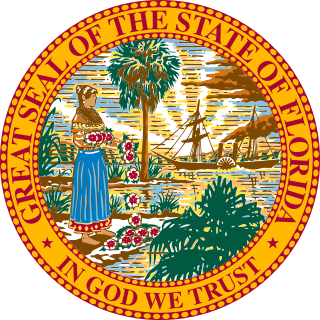 The state senate comprises 36 members, each representing a district with around 99,280 inhabitants. Senators are elected to two-year terms without term limits. The Connecticut State Senate is one of 14 state legislative upper houses whose members serve two-year terms; four-year terms are more common. 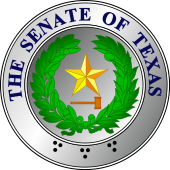 The 80th Texas Legislature met in regular session beginning 9 January 2007. All members of the House of Representatives and 16 members of the Senate were up for election on 7 November 2006 in the Texas Legislature election. 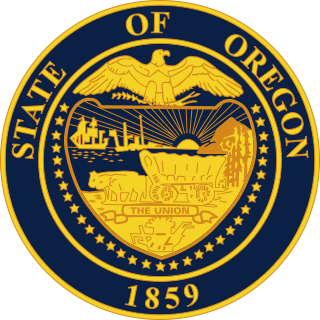 The Oregon State Senate is the upper house of the statewide legislature for the US state of Oregon. Along with the lower chamber Oregon House of Representatives it makes up the Oregon Legislative Assembly. There are 30 members of the State Senate, representing 30 districts across the state, each with a population of 114,000. The State Senate meets at the Oregon State Capitol in Salem. The President pro tempore of the Oklahoma Senate is the second-highest-ranking official of the Oklahoma Senate and the highest-ranking state senator. The Oklahoma Constitution designates the Lieutenant Governor of Oklahoma as the highest-ranking official, serving ex officio as President of the Senate, even though he or she only votes in the case of a tie. During the lieutenant governor's absence, the president pro tempore presides over sessions. The lieutenant governor presides over sessions devoted to ceremonial purposes, while the bulk of the management and political power is reserved for the president pro tempore. The Louisiana State Senate is the upper house of the state legislature of Louisiana. All senators serve four-year terms and are assigned multiple committees to work on. The current Senate President John Alario from Westwego. The President pro tempore of the Vermont State Senate presides over the Senate of the U.S. state of Vermont in the absence of the Lieutenant Governor. In addition, the Senate pro tempore President serves as a member of the Committee on Committees. The Committee on Committees, made up of the Lieutenant Governor, President of the Senate and a State Senator chosen by his or her peers, is responsible for making committee assignments and designating committee chairpersons, vice chairpersons and clerks. ↑ McGuinness, Dylan. Flores defeats Gallego in Senate District 19, San Antonio Express-News, September 19, 2018. ↑ Svitek, Patrick. Republican Pete Flores upsets Democrat Pete Gallego in race for Uresti seat, Texas Tribune , September 18, 2018. ↑ 2016 Texas Elections, Texas Senate, Texas Tribune, 2016. ↑ Results of the Texas 2018 midterm election, Texas Tribune, November 6, 2018. ↑ Democrat Mario Gallegos, Jr. (District 6) died October 16 and was reelected posthumously.